Like Aranmula ‘kannadi’ and Payyannur ‘pavithramothiram’, the Nilambur teak aka Malabar teak has found its place in the Geographical Indications (GI) Registry. THRISSUR: Like Aranmula ‘kannadi’ and Payyannur ‘pavithramothiram’, the Nilambur teak aka Malabar teak has found its place in the Geographical Indications (GI) Registry.The golden brown teak is known for its log dimensions, desired wood figure and wide reputation in the world of trade.Agriculture Minister V S Sunilkumar said the Kerala Agricultural University (KAU) received the communication bestowing GI status on the exclusive teak variety from GI Registry, Chennai, the other day. Now it’s up to the state government to protect and conserve the unique teak variety of Kerala which had reportedly found a place in the construction of the Buckingham Palace, the Kabba building in Mecca, the legendary Titanic and even in the interior of Rolls Royce cars.C R Elsy, head of the IPR Cell of KAU, who along with College of Forestry, KFRI, Department of Forests and the teak industry presented the representation for obtaining the GI tag, said the main challenge before the state government and the teak cultivators is to protect the variety from other teak varieties. A good number of teak wood carrying the tag of Nilambur teak are not genuine as unscrupulous merchants sell teak brought from other parts of the state in the guise of Nilambur teak.Therefore, the society which took the initiative for registration under the guidance of the IPR cell and the state government should ensure or mark the teak sourced from the Nilambur teak forest as genuine in order to make sure the customers do not fall prey to fraudsters. Further, if a niche market is exclusively developed for the Nilambur teak, the growers will benefit from the legacy of the teak, she said.Nilambur teak is famous for its larger size, superior colour and durability. Its durability is attributed to the synergistic effect of total extensive components and the resistance to fungal decay to naphthoquinone and derivatives it contains. The hydrophobicity, anti-oxidant properties and oily nature are due to a caoutchouc compound. The superiority of teak from this area used for shipbuilding and structural purposes have earned reputation world over and it is believed the Nilambur-Shornur railway line itself was laid by the Britishers to transport teak logs. 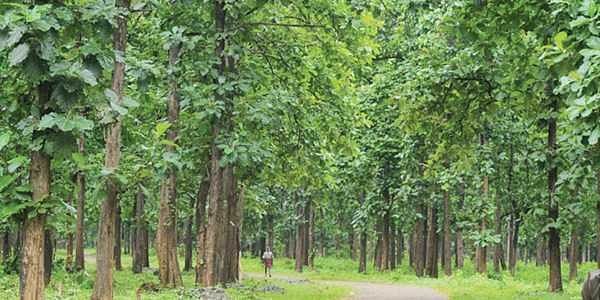 According to the data available with the GI registry, about 5,000 including Kerala Forest Department cultivators are involved in Nilambur teak cultivation and preparation of its products in the Nilambur region. The annual turnover of the Nilambur teak is Rs 35 crore. It fetches Rs 4,600-4,800 for B2 quality log and Rs 2,800-3,100 for B3 quality per cubic feet, while the teakwood from other parts of the state can be sold at a cheaper price — Rs 1,000-1,500 less than Nilambur teak.